I turned 50 a couple of weeks ago. To Celebrate this mark in time, we went to Crete. We started in the western corner of Old Town, Chania. I loved this small harbor. 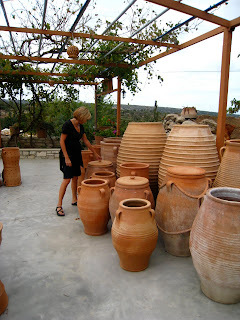 These jars were made by a 73 year old man in the hills of Crete. His name was Nikos Kavgalakis. I met his daughter who said that he only makes the large jars in the summer months so that the pot will set up properly when adding coils to it. 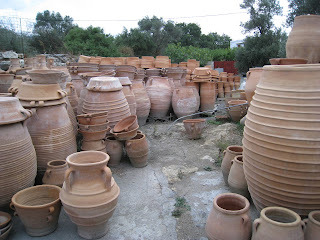 There were hundreds of these large, large jars.